Stocks move lower. USDJPY falls. The USD stocks have tilting to the downside. The Markit PMI was a bit weaker. 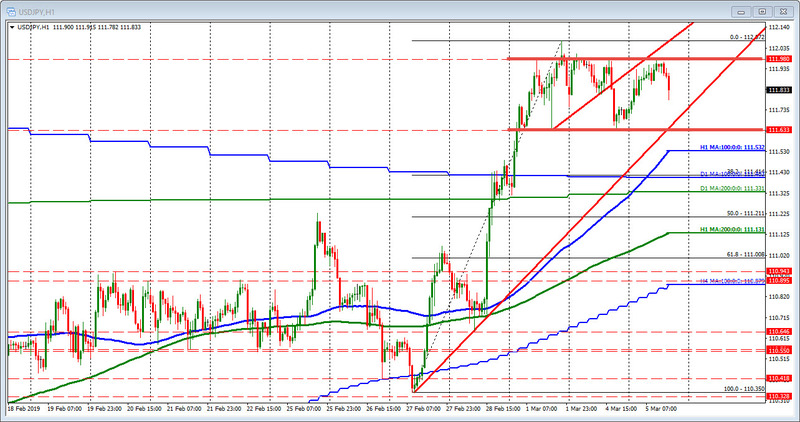 So the USDJPY has moved lower and away from the ceiling against the 112.00 area (111.98). The low just reached 111.78. The low for the day is at 111.72. The low from yesterday and a swing low from Friday comes in at 111.633.